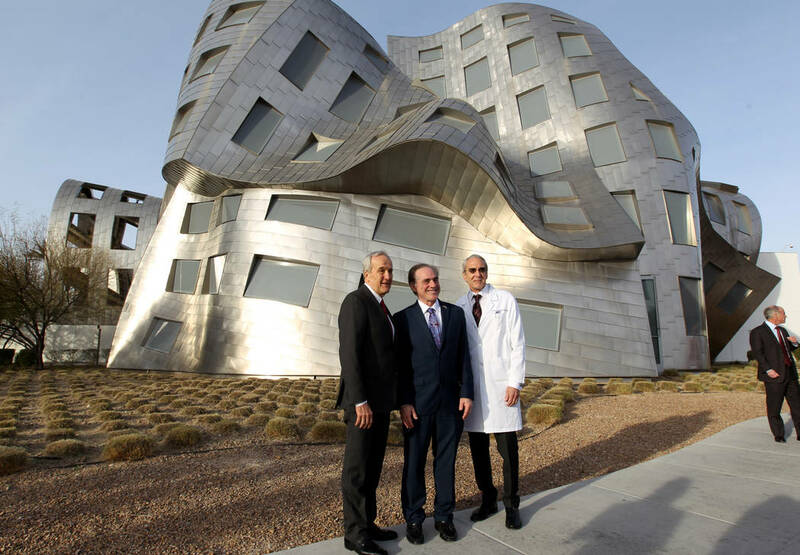 Department of Veterans Affairs Secretary David Shulkin visited the Cleveland Clinic Lou Ruvo Center for Brain Health on Friday to learn more about how the center’s research could one day help veterans living with chronic brain diseases. 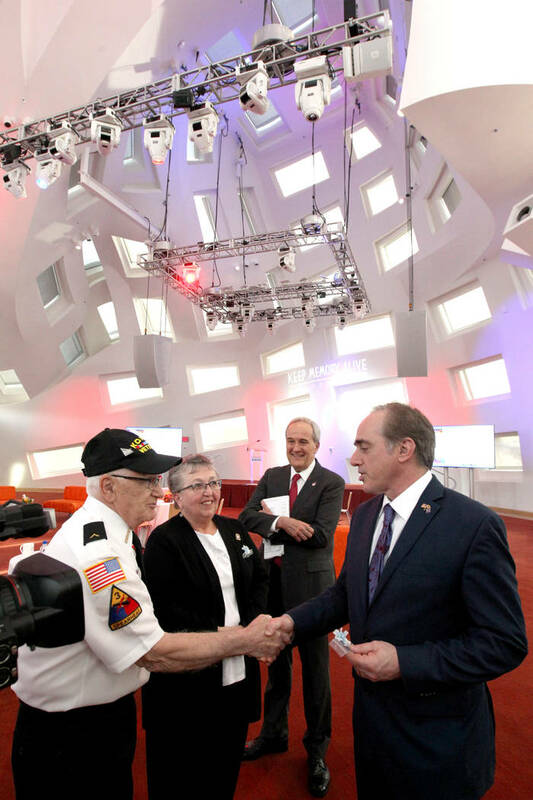 Department of Veterans Affairs Secretary David Shulkin visited the Cleveland Clinic Lou Ruvo Center for Brain Health on Friday to learn more about how the center’s research one day might help veterans living with chronic brain diseases. 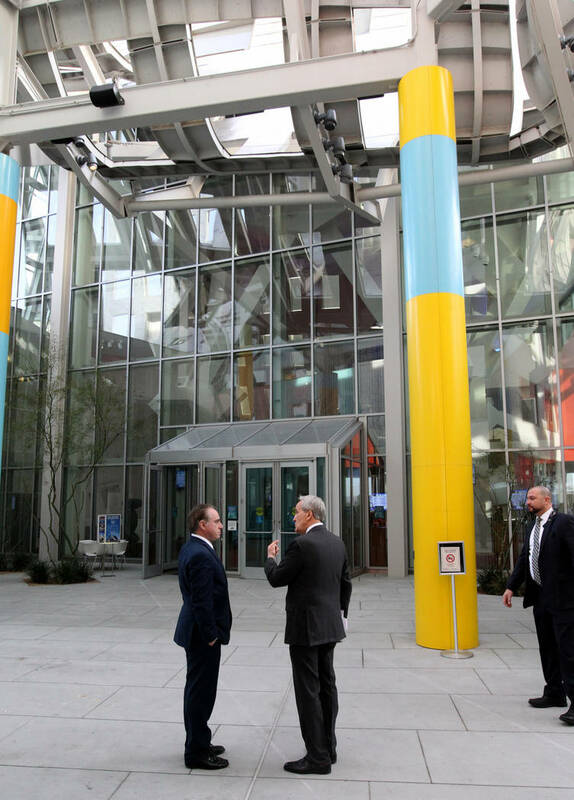 Shulkin toured the facility to see the work underway at the Cleveland Clinic to provide brain health care. 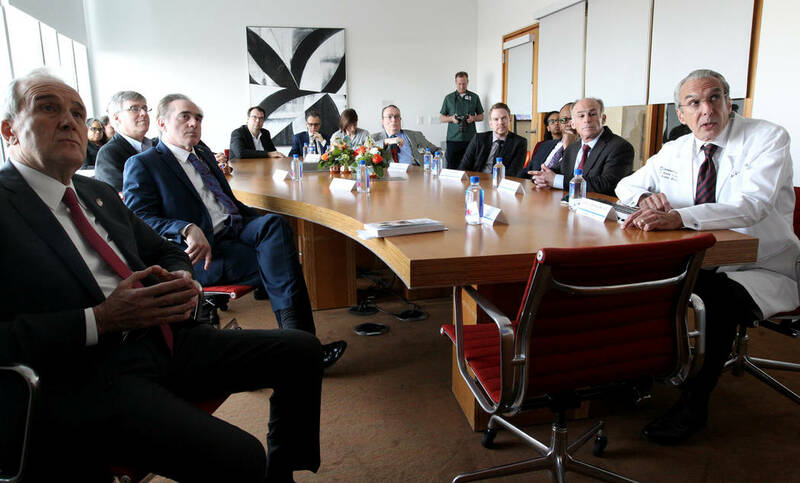 He met with its executive director, Dr. Jeffery Cummings; its associate medical director, Dr. Charles Bernick; other doctors and leaders; and veterans who work and volunteer there. Cleveland Clinic is a nonprofit academic medical center that combines clinical and hospital care at campuses across the country, and the Lou Ruvo Center specializes in the treatment of and research on brain diseases, including memory conditions such as Alzheimer’s disease and movement disorders such as Parkinson’s and Huntington’s diseases. 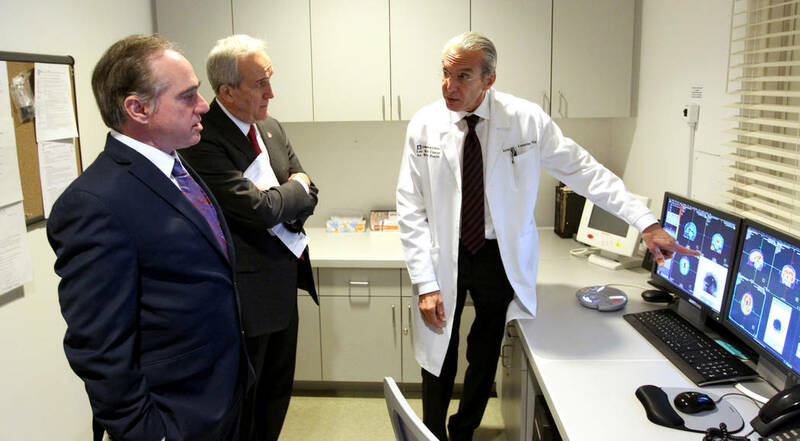 Cummings briefed Shulkin on the center’s resources, the status of its brain health studies and trials, and its philanthropy. 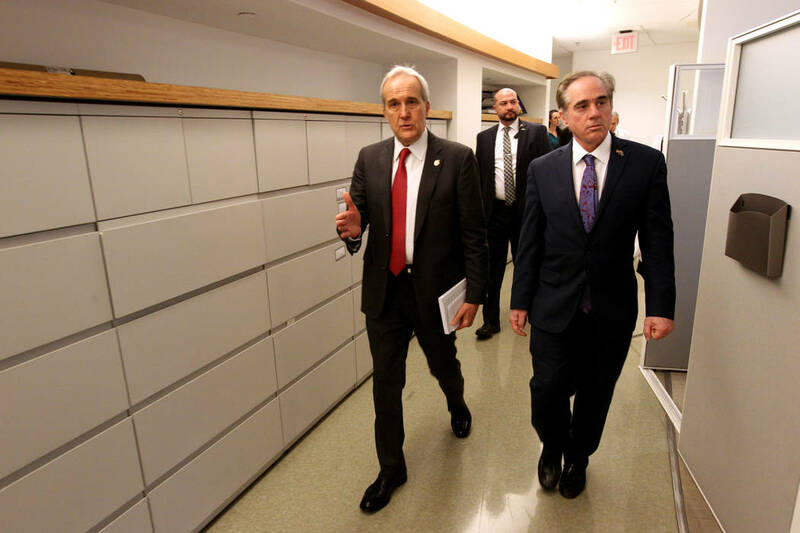 Shulkin expressed interest in several of the center’s trials for Alzheimer’s treatment drugs, research on early Alzheimer’s and Parkinson’s detection, and an ongoing study on chronic traumatic encephalopathy. “What about doing some research with the VA?” Shulkin asked. “That’s a dialogue we’d love to have. I think that’s an open door,” Cummings said. 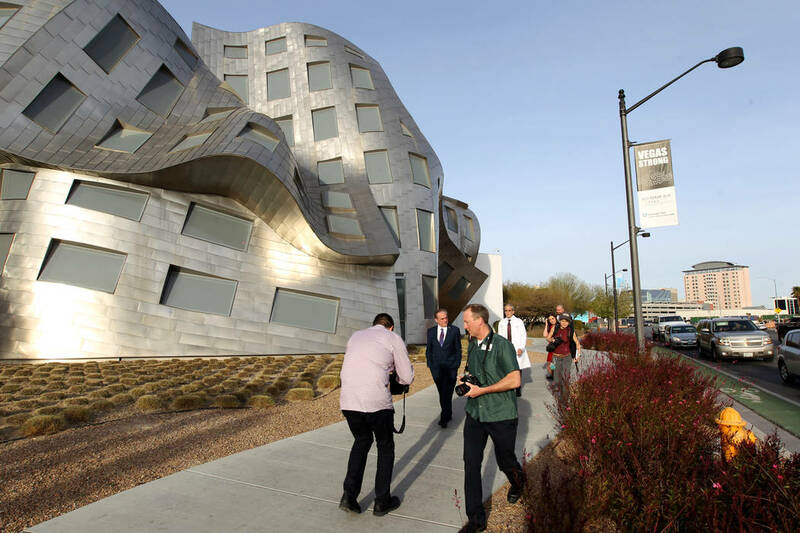 The Lou Ruvo Center is conducting its Professional Fighters Brain Health Study. It examines the brains of active and retired boxers and mixed martial arts fighters and studies the long-term implications of repeated head trauma. The study has had about 800 participants since its inception in 2011. Bernick said the study has the potential to help veterans who have suffered head injuries. Learning from the brains of the professional fighters might lead to an understanding of all types of head trauma and its long-term effects, so that conditions can be identified and intervention can take place, Bernick said. Whether on “the battlefield, in the ring or on the football field … there may be some differences, but there’s probably more commonalities,” Bernick said. 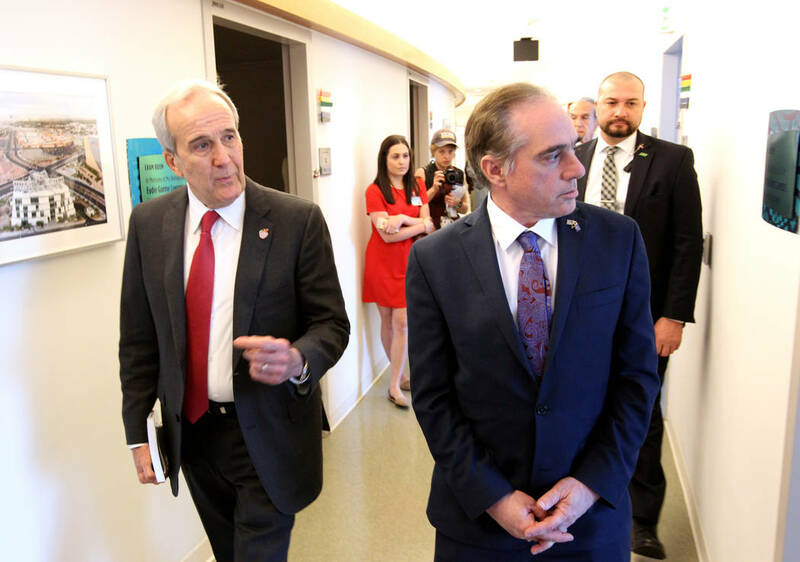 Department of Veterans Affairs Secretary Shulkin’s visit to the center Friday took place amidst a backdrop of controversy that has created distractions for department. An investigation released Wednesday by the Office of the Inspector General found that the Washington D.C. VA Medical Center had “widespread and formidable inadequacies” for years, including a consistent lack of supplies and equipment, poor sterilization practices and pervasive staffing issues across many departments. 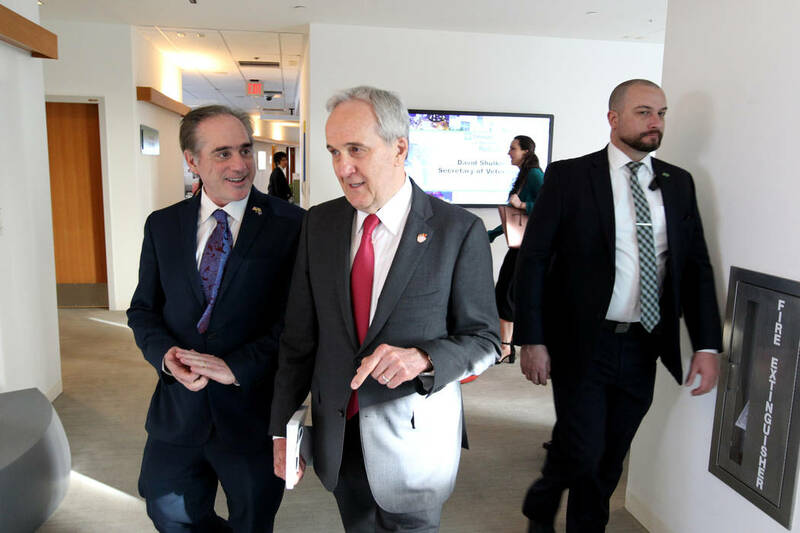 While in Las Vegas, Department of Veterans Affairs Secretary David Shulkin also attended the annual Healthcare Information and Management Systems Society in Las Vegas, and the VA announced the launch of a beta platform that offers commercial software developers access to tools to build online applications aimed to help veterans manage their services and benefits. It was part of a larger effort to get healthcare providers to work with the department to speed up the mapping of health data, a challenge as the healthcare industry moves to electronic health records. The Cleveland Clinic was one of the pledge’s signatories.